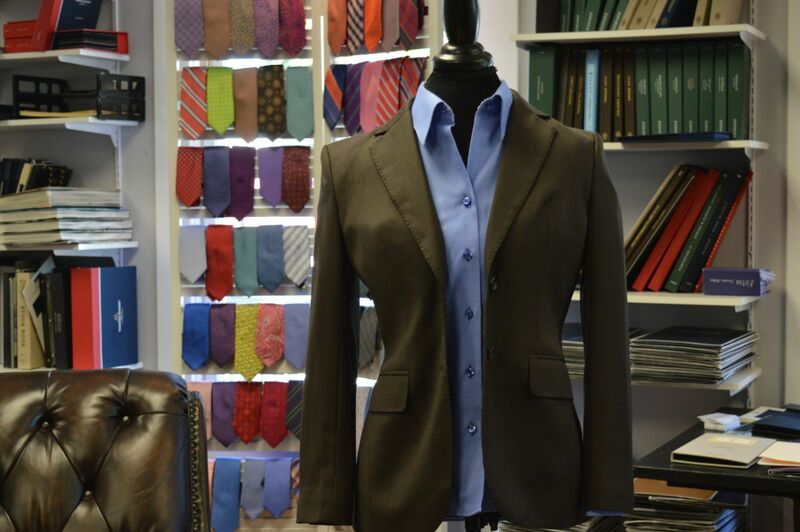 At WT Clothiers we have a wide selection of custom women’s suit fabrics. Some custom clothiers in the marketplace say they make women’s clothes but just take a men’s suit pattern and reverse it for the women’s suits. This can cause flaws and disrupt the overall fit of the suit. 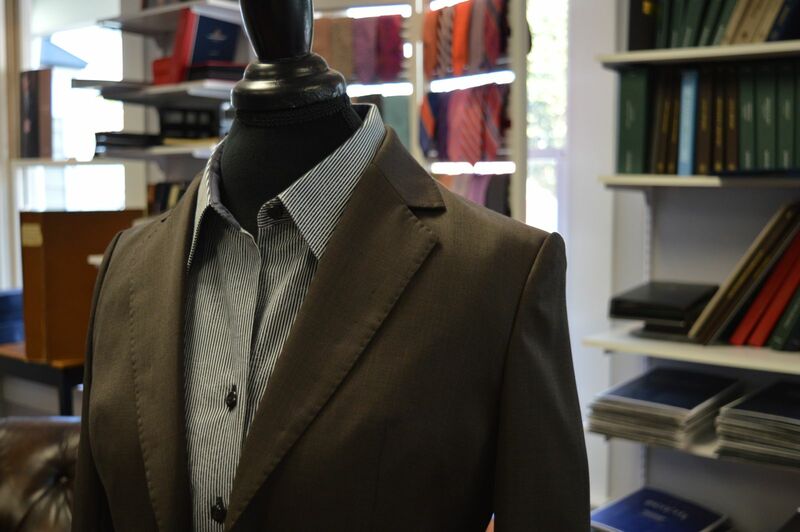 Our suits are made from a variety of fabrics including wool, wool blend, cotton, silk, cashmere wool, etc. Custom jacket lining of your choice with the option of choosing the color of the thread and buttons on the suit as well. There are 3 fittings after the suit is ordered to ensure you get the exact fit you want. The suits are of the highest quality and you get what you pay for. It is wise to invest in a few pieces that will have longevity, rather than going back to stores repeatedly and getting the same thing. Every person needs some clothes that are the staple of their wardrobe and those are the kinds of clothes we provide. For what you would spend at the finest women’s boutique, why not have it made to fit and style the way you want. The value of our women’s clothes are the longevity of use, even if you get just one suit it will last you a lifetime. 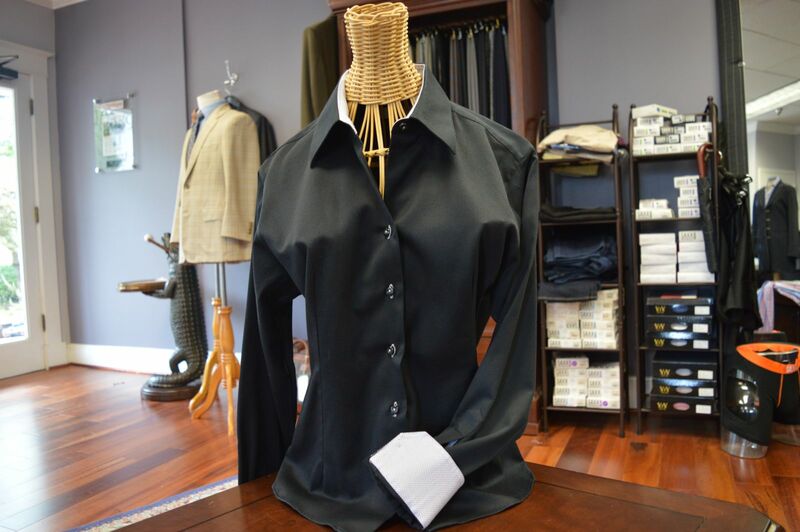 We also offer custom women’s blouses in studio with over 100 shirt fabrics to choose from. Stop by the studio or call 703-352-8852 and set up an appointment today!